ModoView is committed to offer professional services to clients in every step of development. 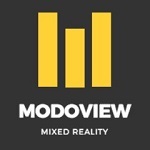 We will develop our own demos and applications, showing the potential of the ModoView Framework. Demo’s and applications will be tailored to each market. For example, Mixed Reality training simulations can be developed for medical procedures or oil/gas specific scenarios.